On Friday, October 12 Fall Fest features professional pumpkin carvers who carve unique and creative jack-o-lanterns right on 8th Street. In the evening, everyone is invited to take a stroll once the sun sets to see the pumpkins glowing to perfection. 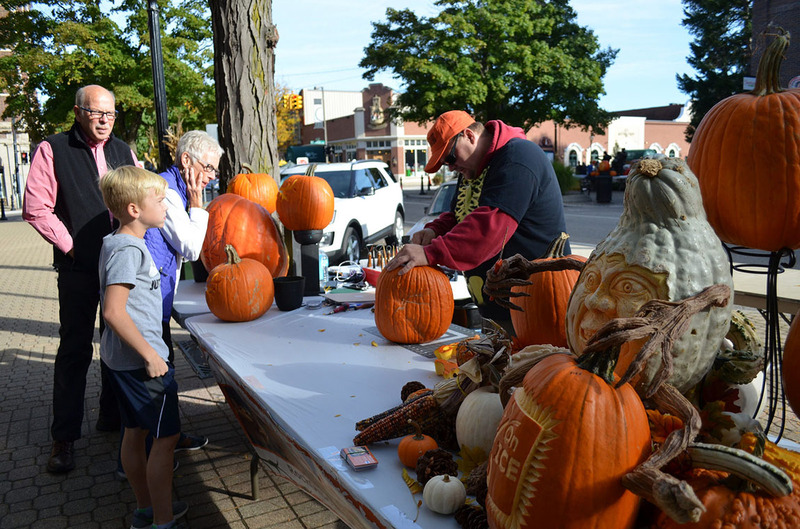 On Saturday, the carvers return to sculpt masterpieces at the Holland Farmers Market and in Downtown Holland. The entire family can enjoy a variety of fun fall-themed activities including pumpkin painting, a candy in the haystack hunt, pumpkin toss contest, scarecrow window displays and much more! Take a hayride from Downtown Holland to the Holland Farmers Market (and back again) for more fall fun! Visit Hollandfallfest.com for details!